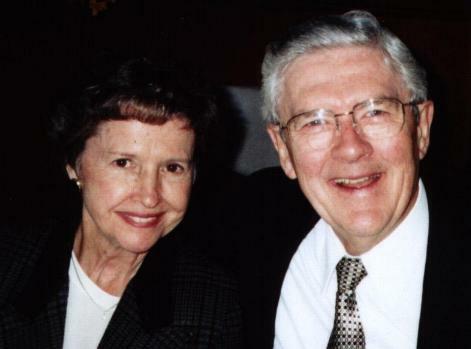 God has allowed my loving wife, Nan and me to serve Him as missionaries in southeast Asia, as the Pastor of the First Baptist Church in Pontiac, MI and in Evangelism in spreading His Word throughout the United States and abroad. These 70 years in ministry have brought the most fulfilling life imaginable. Being able to raise our children to serve Him has also been one of the greatest joys of our hearts. God has also graciously allowed our radio broadcast to continue as an arm of the Gospel Fellowship Association. To be used of God is the highest calling to which any of us can attain and it has been our privilege to humbly serve Him in our brief time on this earth. As Paul was looking forward to receiving the Crown of Righteousness, so can all who have longed for His appearing. Nan and I have never been so aware of Christ’s soon return. In this season of life (I will be 90 years old in June, 2019 and Nan will be 88 in December, 2018), we are committed to praying for our family, friends and missionary family and attending our church as God allows. We would like to thank those of you who have prayed for us, supported us, encouraged us and shared life with us. We have been the grateful recipients of God’s blessings outpoured and God, as our Good Shepherd, has given us everything we need. May the Lord bless you richly as you walk with Him.